I sleep when I feel comfortable. One of the most comforting smells for me and all puppies is that of my family. 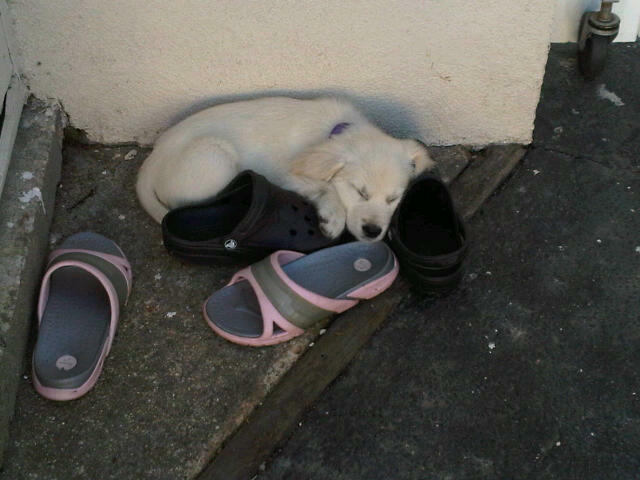 I was found sleeping by my mom’s shoes… NOT eating them as most puppies do. I felt very comforted and happy.